The first (andarguably most exciting) bit of news is Kim Jungmin’s move to RB Salzburg. The rumors about this one have been circulating for a while now (since the 2015 U17 World Cup actually), but now it has officially happened and the young 18 year old will first sign with Gwangju FC but prompty kickstart his career with Liefering when the Austrian Erste Liga begins in February. The transfer fee was ~ 700k euros. For those who don’t remember, Kim Jungmin was a standout at the U17 World Cup – he was the youngest player on the team at just 15 yrs old. Hailing from the famous Gwangju Geumho High School, he is touted as the next Ki Sungyong, not only for his playing style and background, but also his looks. The “highlight” videos on Youtube unfortunately feature way too much fluff (like plain forward passes and even backpasses that even Jung Wooyoung could do) – but believe me, there is a lot of substance to his “next KSY” moniker. His most recent appearance in the KNT colors was in the recent U19 Championship qualifiers. 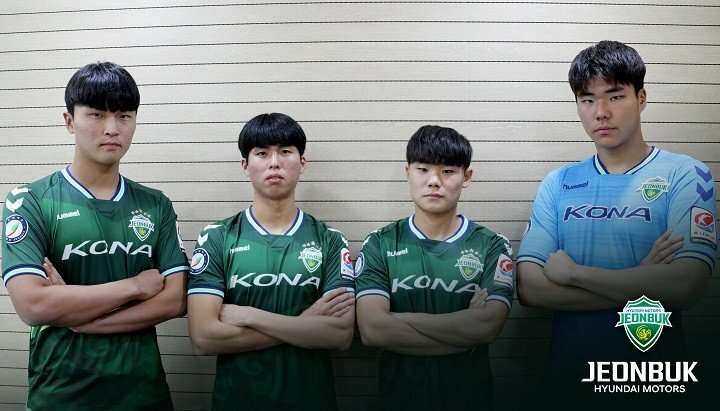 Lee Kangin and Cho Youngwook played alongside Kim Jungmin – I couldn’t watch any of the matches but reports say he was by and far the standout player for Korea all tournament, a sentiment shared by the members of BSK who actually did watch. Here is a somewhat condensed HL reel from the U17 days. If you want to see his U19 matches (against minnows like Brunei, Indonesia, etc.) you can YT search to find the ball touch vids, but after watching them I can say there’s not enough substance to justify the long 7-10 minute videos. I still question the value of any of the KPAs moving to Austria. With such a low sample size of Koreans moving to the A. Bundesliga, until Hwang Heechan makes the move to Germany or something I worry that KJM might be stuck in Austria for a long time. But fortunately, Salzburg and the Liefering farm team are very good at giving their youth players minutes, which is more than the K League can offer. On an unrelated note, I suspect the move only happened now because of the Korean “no pro contracts until 18” rule – the major disadvantages of this law have been mentioned numerous times on the Tavern but is a debate we can have some other time (has anyone ever defended that rule? Please comment if so). The other bit of completely random transfer news is Jeon Sejin of Suwon’s Maetan High School randomly getting a trial at PSV Eindhoven. Jeon Sejin is almost a complete unknown, never having made a major KNT youth team appearance until the recent U19 qualifiers where he played in CM alongside Kim Jungmin. He didn’t particularly shine at the tournament apparently, but I guess he was decent enough to at least get the trial? If you look at the replies to the tweet it seems that it’s a repeat of Hwang Heechan’s transfer saga where he pissed off Pohang by moving against the club’s will. Hopefully his trial gets him a spot at the club because otherwise he might not have a club to come back to. He may or may not make a pro debut at just 16 years of age! If he does end up playing for Valencia B in the third division of Spanish top flight football, the Tavern will immediately put up a post with ball touch highlights. When you say BSK what does that stand for? Never heard that term. With Song Beom-keon I really hope he had a good reason for turning down offers from Germany. Signing for the K League champions right off the bat is a huge move and hopefully they play him. Hopefully getting minutes in the ACL and K League is enough to get him offers in Europe in the future.